Execution#X is an art project that combines photography, manual and machine-based generative art, game-art, and participation. 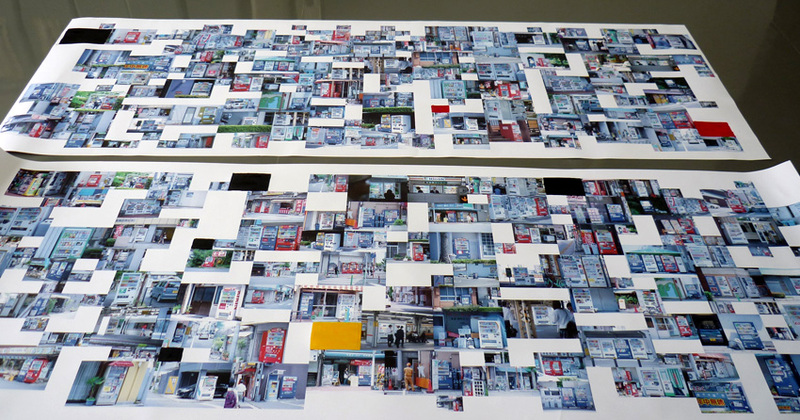 Starting with photography, over 500 vending machines in Japan were collected by taking photographs. This huge collection was arranged on a canvas by a computer algorithm written in Processing. 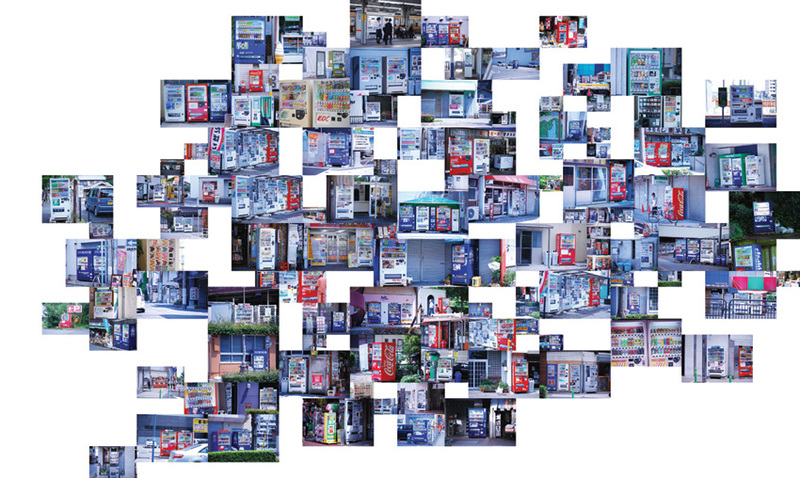 The generative image composition algorithm places photos as a continuous path on a determined canvas. It means, every execution of the algorithm results a unique image composition. Second, the same instructions of the algorithm are applied as a game rules for manual generative approach (see the video below). Hence, machine-based and manual generative techniques are mixed and converted into a game. The players are asked to paint image-sized shapes (3 different sizes) on a canvas until there are no possibilities left for placing a shape. Concerning audience participation, we asked the visitors of the exhibition to play with us or against each other, and thus participate in the process and understand the rules.